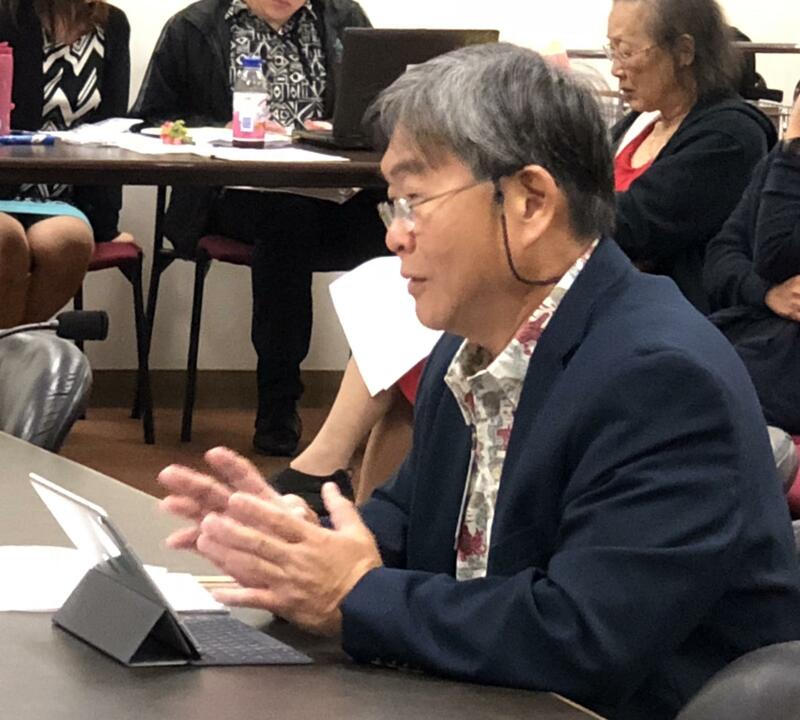 Ernie Lau, Honolulu Board of Water Supply manager and chief engineer testified in support of HB2712. 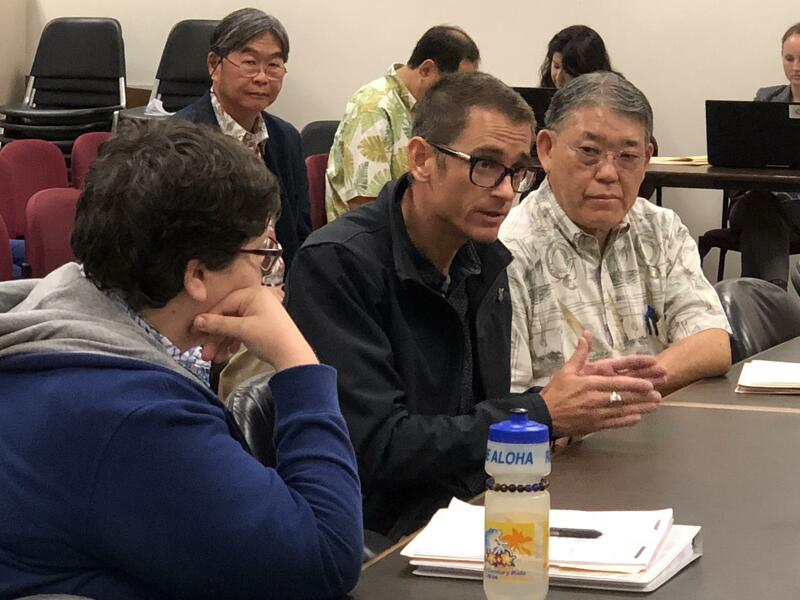 Honolulu Board of Water Supply manager and chief engineer, Ernie Lau, supports House Bill 2712, which would require the Navy to install secondary containment for the 250 foot tall underground tanks at the Red Hill Fuel Storage Facility. There are 20 tanks. He says the Navy is taking too long. Captain Richard Hayes, commander of Naval Facilities Hawaii. 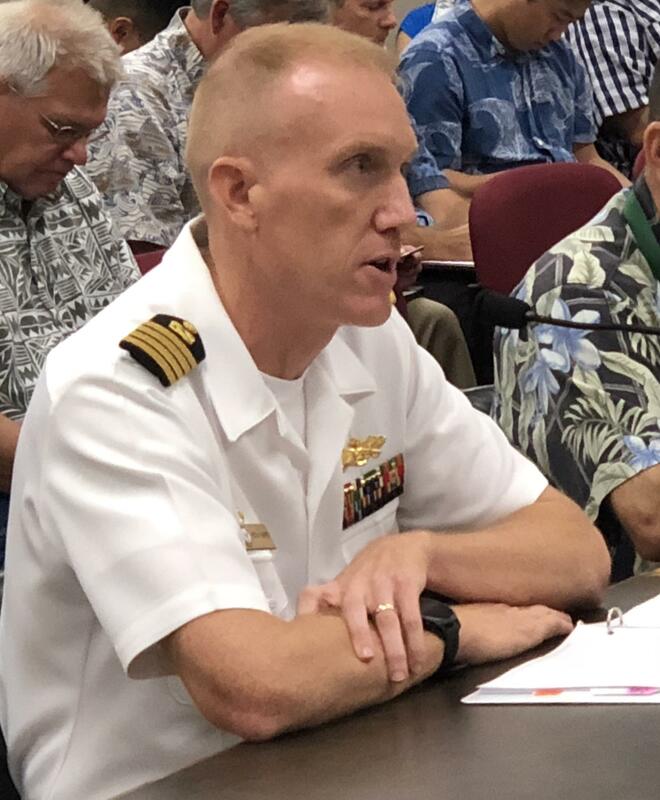 But, Naval Facilities Hawai’i commander, Captain Richard Hayes, says the Navy is working on alternative solutions as directed by the 2015 Administrative Order and Consent, the AOC. The State Department of Health also weighed in. Deputy Director, Keith Kawaoka, says the AOC is directing a comprehensive look at tank upgrades. Deputy Attorney General, Wade Hargrove, says Red Hill is a one of a kind facility and the AOC provides 20 years for the Navy to complete the tank upgrades. House Health and Human Services Committee chair, John Mizuno, deferred the bill, preventing its advancement. That Senate Companion Bill, 2930, is headed to the Committee on Consumer Protection and Health. Wayne Yoshioka, HPR News.